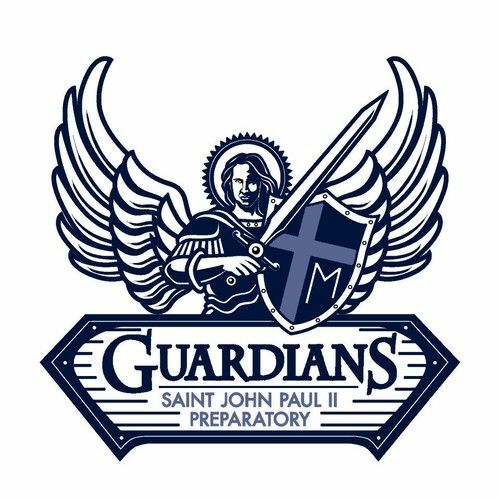 St. John Paul II Preparatory School provides students with excellence in education, both academically and spiritually, to prepare them to become faith-filled leaders who will live and defend the Catholic faith with confidence and joy. Thursday, May 2, 7 p.m. -- "Theology of the Body" with Chris Baur, M.T.S. "Let it be known to all who enter here that Jesus Christ is the reason for this school, the unseen but ever-present teacher in all its classes, the model of its faculty, and the inspiration for its students." These powerful words, posted at the entrance of our school, beautifully and succinctly describe St. John Paul II Preparatory School. Our first and most important aim at JPII is to know, love, and serve God. 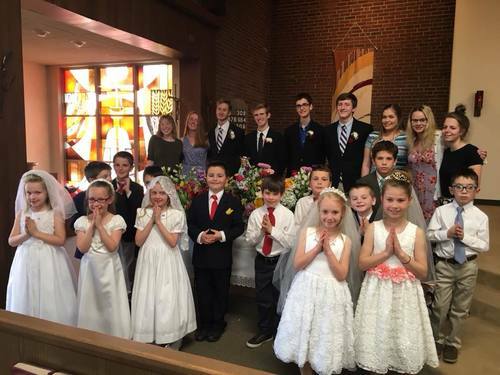 The primary goal of Catholic formation at JPII is to prepare each student to glorify and honor God in their thoughts, words, and deeds, and to achieve eternal life. At JPII, our curriculum advances the mission of Catholic education, with the faith informing all academic disciplines. The Catechism of the Catholic Church and Scripture are frequently referenced. Our textbooks reflect a Catholic worldview, and teachers employ a variety of methods to help students see their studies through the lens of the Catholic faith. 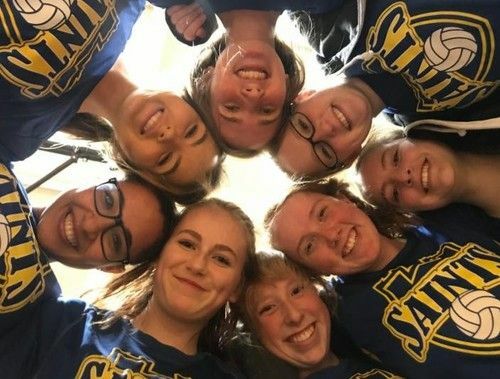 By combining the richness and traditions of the Catholic faith with the strength of a rigorous classical curriculum in a family atmosphere, we provide opportunities for students to encounter, develop and practice virtue in all circumstances of life. At JPII, parents are partners with the school. The school climate reproduces the warm and intimate atmosphere of family life, which is not only nurturing but genuinely positive and supportive. 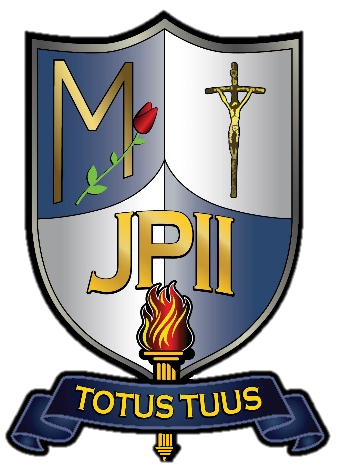 All members of the JPII community strive for excellence in both human and Catholic formation. Prayer is a norm, and Masses and Reconciliation opportunities are frequent and reverent. 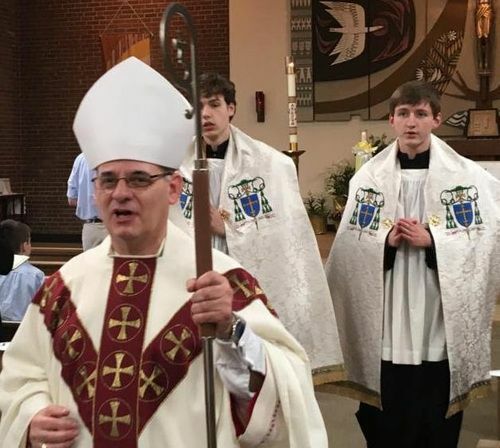 Here administration and faculty accept and promote the teachings of the Church and moral demands of the Gospel, actively participating in the liturgical and sacramental life of the school and viewing their positions as vocation rather than profession. Ever alert for opportunities to integrate culture and academic content with faith, our faculty attempts to fully integrate their faith life with their daily tasks, imitating Christ, the true teacher, not only in their work but in the entirety of their lives and actions. Our school program is rooted in forming the imagination, mind and heart, based on the greatest stories, questions and ideas of mankind. These components form the basis of our pursuit of the true, the good and the beautiful. Classical education and the pursuit of truth, goodness, and beauty, is the framework for the content of our program. With our curriculum, JPII students are exposed to the best of Western civilization and culture; they learn about the harmony which exists between faith and reason, especially in the study of the sciences. Literature selections assist the genuine development of the human person by using examples of virtue and vice, which allow students the opportunity to learn examples of nobility and courage. Studies of history and government help students understand and commit to the common good, the needs of the poor, human rights, and human dignity. Our classical curriculum unites us with our past and systematically trains students to think critically and express themselves eloquently in writing and speaking. We focus on understanding core facts and concepts, learning fundamental skills, and living an authentic Catholic life. We do this in part by exploring the lives and societies of history's holy, wise, and influential men and women. This context provides students the tools they need to understand the Gospels, the saints, the writings of the Church, philosophy, literature, the process of discovery in science, the use of imagination and logic in problem-solving, and ultimately how to be tomorrow's clear communicators, wise decision-makers, and holy saints who promote and defend the faith of Jesus Christ. We invite you to learn what makes JPII one-of-a-kind. Our parent co-teachers love the hybrid model because it provides extensive at-home time that supports and strengthens the domestic church of the family. 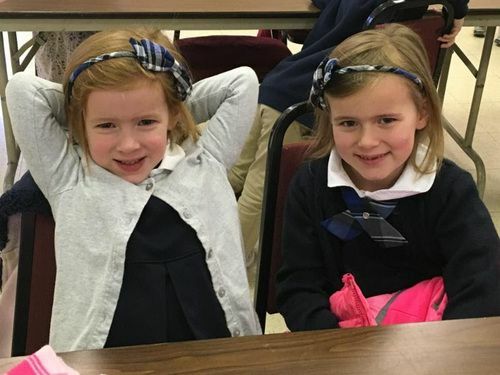 Saint John Paul II Preparatory School's rigorous classical curriculum and unique model blend the advantages of traditional instruction with the benefits of home school days to provide an atmosphere where both academic and spiritual formation thrive. Our cooperative model allows for a healthy balance between home life and school participation by providing three days of in-school instruction and two days of study at home. Students benefit from the opportunity to develop their Catholic faith within the loving embrace of their primary educators, their parents, extend their academic knowledge through the expertise of professional teachers, and strengthen their knowledge and understanding of all the Church teaches within a faithful community. Saint John Paul II Preparatory School is a hybrid academic program, blending all the best aspects of traditional schools with the advantages of homeschooling. Our model rests on the solid foundation of the Catholic faith lived out according to the Magisterium, a rigorous classical curriculum, character and virtue development, spiritual formation, and extracurricular activities. Professional teachers administer the curriculum Monday, Tuesday, and Thursday, instructing in their areas of expertise and providing assignments, feedback, and grades for both school-day and home-day work. On Wednesday and Friday parents continue instruction and monitor their students' progress at home. Our dual emphasis on school and family supports the educational needs of students and the natural role of parents. This hybrid model returns to families the gift of time for prayer, service, enrichment, and leisure activities, reinforcing the family bond that is so crucial to our children's formation. Come see what makes JPII different. Scheduling a shadow visit is easy!